House Layne consists mainly of a single branch, yet is fortunate enough to count itself among the oldest families in Terenia. 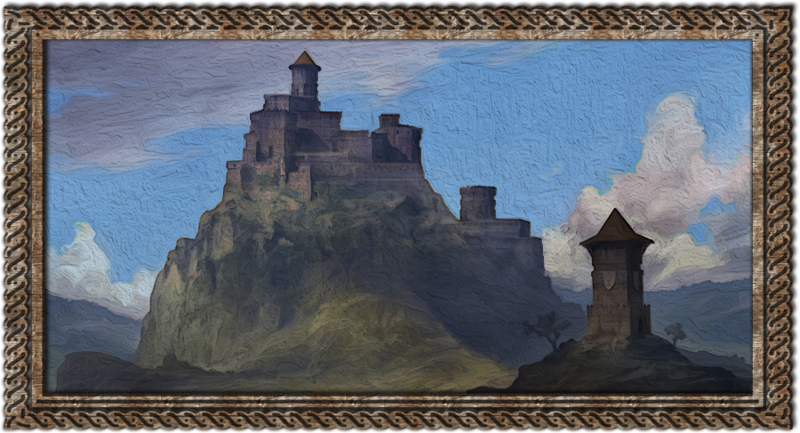 They resided in an isolated mountain valley, just south of Tenarath, the Duchy's capital. The area is known as the County of Rahlmont, and in times past, the Laynes were even known as Protectors of Highterran Valley. Now I, Baron Grenric Layne, am riding forth to reclaim my family's ancestral seat - Watcher's Rock. I hereby wish to call upon all menn and womenn who are willing to join me in my task of keeping the Emperor's peace. Crown yourself with glory, by joining our military ranks, or simply swear to be a good and leal servant. The good of the realm is what's most important for us! Wind Keep - the lower half of the stone keep consists of rooms prepared for visitors welcomed under the Lord's roof. The Lord himself, as well as his family, take residence in the Owl's Tower. Dinning Hall - large and round, the dinning hall is connected to the kitchens and it is where troops and staff eat. It also serves for feasts and smaller get-togethers. Barracks - the residence for all the guards and soldiers serving under the Lord's banner. Famed Knights and Commanders tend to have their own room in the Wind Keep. Staff Chambers - the place for all of our workers to take shelter. Smithy - weapons and armor must always be in stock. For the largest part, we produce our own in the smithy. Stables - As Baron, I will provide breeding pairs of Thoroughbreeds and Trisons, which will be tended to in the stables. Practice Yard - The place for combat practice, where most of our new recruits will (no doubt eagerly) earn plenty of cuts and bruises! Everyone who wishes to serve the realm will be welcome, especially family members who wish to join me in our old family seat. There will always be room for a Layne in Watcher's Rock. Any other citizens are welcome to join. The Warden of the Mountain Pass is a leal servant to the Duke, and receives coin to take able bodied menn under his service. Join our ranks, and you will have a steady pay that comes with a roof under your head. We are looking for both soldiers and staff! Recruits - the frest meat, still in training. They will receive all the necessary groundwork for joining our ranks. Once you are deemed worthy, you can take up arms with us! Guards - charged with protecting the Rock and it's inhabitants. It is not uncommon for them to be sent to other villages in the vicinity, to serve as protectors of the Emperor's peace. They answer to the Commander of the Guard. Soldiers - the Baron's military strenght, ready to assemble at first word from our liege Lord. Our soldiers are divided into three main branches: infantry, cavalry and archers. They answer to the appointed General, who is left in charge in case of the Baron's absence. Knights - those who have achieved fame and proven worthy of Knighthood can swear their swords to me and take service under my roof. Stay true, gallant and valiant, for down that path glory lies! Master-at-Arms - the household position that is usually filled by a seasoned Knight. They are in charge of training the garrison, helping new recruits master their combat skills. Smiths - we must always be prepared to meet our foes, steel in hand. Therefore we must never be out of supply on armor and weapons. Builders - in charge of maintaining the stronghold, as well as woodworking and the construction of siege equipment (if the need shall arise). Physicians - learned in the arts of medicine and healing, they are there to provide medical attention when needed. Cooks - tasked with preparing the food, as well as brewing ale and liquor to keep us warm through a long winter. Stewards/Serving wenches - a position mostly filled with younger wards, they assist wherever they are needed. The Lord can take one as his personal page. Stableboys/Animal Breeders - keeping our stables clean, and making sure that we always have a strong cavalry ready to march out. A common saying in these parts is that Watcher's Rock is as old as the Mountains of Highterran themselves. Though such tales are clearly exaggerated, the mountain stronghold is without a doubt very old. Placed in the heart of Terenia, it is only a day's ride south of it's capital, and for centuries it protected the valley from invaders and groups of outlaws. It is said to have been built by the first Mountain Kings who inhabited the area in times yore, before anyone had placed a claim to those lands. They used slaves to errect it on top of one of the smaller mountains in the complex. It is uncertain how long their labors might have taken them, but countless of lives were lost in the harsh climate. It is for them, that a marble statue has been placed in the middle of the main yard, depicting a man with no face. A monument for all the lives it took to finish the harsh and cruel task laid before them. And it was so, that the Mountain Kings ruled over Highterran Valley, atop their mighty bastion. Yet those lands did not remain unclaimed for long.. The first time Terenia has known a true King was when all of the lands united under one standard, and the banners of Zygethia were seen flying all across the realm. 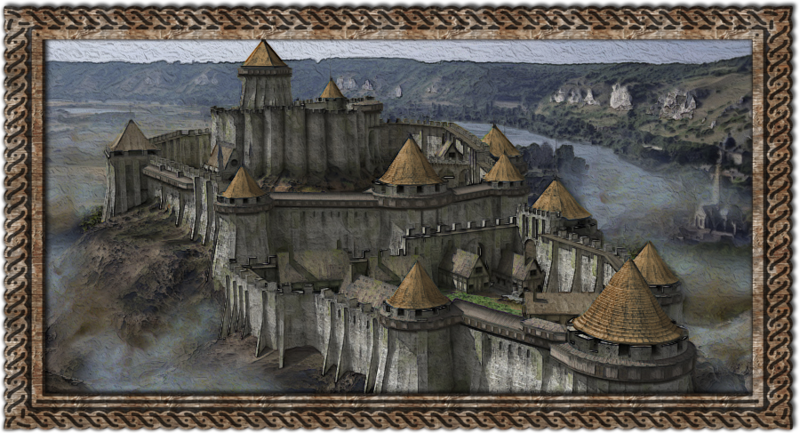 The Coshall Dynasty fought actively against the Mountain Kings, and even though they outnumbered them greatly, breaching the walls of Watcher's Rock took well more than a thousand lives. One of the most terrible battles recorded, yet the Mountain Kings were defeated, and the stronghold was given to the man leading the first scaling party across it's walls - a Layne. For the Layne's are the longest ruling House of the Rock, and they have been Wardens of the Mountain Pass for many a generation. Still, they were not the only rulers - for Zygethia fell crumbling to it's knees during the reign of King Zultra I, and with it came dire times for House Layne. At the time of Zygethia's downfall, Watcher's Rock was ruled by Daeron Layne - called the Stone Owl, and the last Layne to rule Watcher's Rock for over a century. Many a Lord with grave ambitions will see a Duchy in disarray as a fine opportunity to claim more lands, gain more power, perhaps even take over. And Zygethia was no different, for soon enough it was the Romarian Empire that set their gaze on Terenia. Azemar Romaria had conquered the capital, Tenarath, and was marching on Highterran Valley. Yet the Stone Owl refused to bend the knee, and opposed the Romarian banners. Azemar divided his vanguard into smaller groups and sent them attacking the nearby villages, but Daeron Layne met each of them on the field, steel in hand. He dipped their heads in tar and placed them on spikes, sending a message that he would not yield the Rock, even though an army thrice the size of his own was marching against him. The odds were indeed dire, and the Stone Owl sent word to all the nearby villages. They were to gather their supplies and retreat to shelter behind his own walls. Azemar's host is said to have been two thousand strong, but his attempt to lay siege on Watcher's Rock was met with failure. He attacked, but broke his spears on the stone walls of the stronghold. "The craven thinks he can hide behind his walls!" He is reported to have said in a fit of rage, "I say let him, he has too many a mouth to feed." And so the Siege of Watcher's Rock was prolonged, for Azemar was certain he would starve them out soon enough. But as the weeks passed and gave way to months, Watcher's Rock was still standing with the meek supplies they had left. It was the Romarian host who found themselves reduced to almost a third of their own size. The Stone Owl had burned all the harvest and poisoned the wells, before dumping the bodies of the dead in the nearby rivers. Death and disease were spreading through Azemar Romaria's camps, taking more of his men than any army. 'Till one night, they were awoken by the alarming sounds of the enemy's warhorns, as Daeron was lowering the draw bridge, marching his men outside. As archers rained flaming arrows on the encampment, thoroughbreed riders threw torches at the tents while the infantry started hacking the Romarians into pieces. Singers claim that Azemar Romaria himself was set aflame, as he was charging out of his tent, hopelessly hacking at everyone in his vicinity, before finally falling to his knees before the Stone Owl himself. Such reports are likely false, but his burned body was found the next day. It was the first light of dawn, and one of the Empire's greatest defeats. Yet Romaria was still the victor in that war, and Daeron Layne ultimately found himself having to treat with the new ruling monarch - King Arthur Romaria. The Stone Owl yielded Watcher's Rock to him, on terms that all of his men would be spared. His family remained, for he received a royal pardon, yet for his crimes he was stripped of lands and titles and Watcher's Rock passed over to House Wyllock. The Stone Owl himself was sent into exile, where it is reported that he drunk himself into an early grave, and the Wyllocks ruled Watcher's Rock under the Romarian banner. But the sands of time were uncertain then as they are now, and with more war, we also saw the return of House Layne. Though this was an entire century later. When Arthos Romaria, the boy Emperor, brought forth the ruin of his own House. His Empire was destroyed, and the terenians decided they would know no more foreign rulers, proclaiming Terenia an independend Kingdom of its own. A rash decision cemented by the crowning of Demiqas Liacan as their new King. 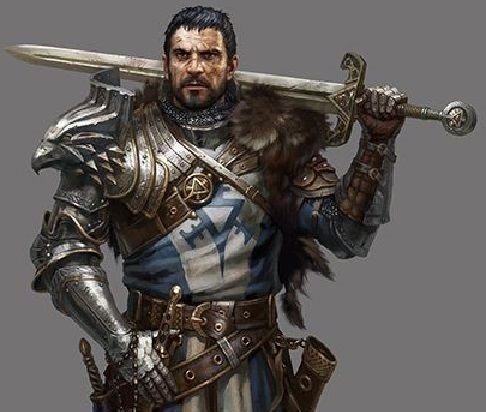 During the bloody civil war known as The Rebirth of Terenia, when Lord Randyll Emory gathered the remaining romarian loyalists and attacked the newly founded Kingdom, House Wyllock fought on his side. Their Lord, as well as his two sons, have perished on the Battle for Tenarath. Liacan's Rebellion started off as a success, and with all of his enemies defeated, King Demiqas Liacan I restored all of their lands to his own people of trust. And so Watcher's Rock was granted to his leal servant and right hand Grenric - another Layne, as it happens to be. A hundred years it took, and the fall of an entire dynasty, but House Layne was back to it's rightful seat. The newly styled Baron swore an oath to protect the inhabitants of Highterran Valley and keep the peace at all costs. The valley has certainly been through most tempestuous times, dark and dire as they get. Yet through all this uncertainty, the land and its people have always prevailed. Even now, under a new ruler. Terenia itself is not large enough to stand as a Kingdom of its own, and King Liacan will have to strike a bargain for either a military alliance or a larger Kingdom. But to most folk this matters little in the end, for at least Terenia will still exist. And so will Watcher's Rock, guarding over the mountain pass. After liberating a good amount of his lands from the Romarian forces, King Liacan agreed to give up on his crown. 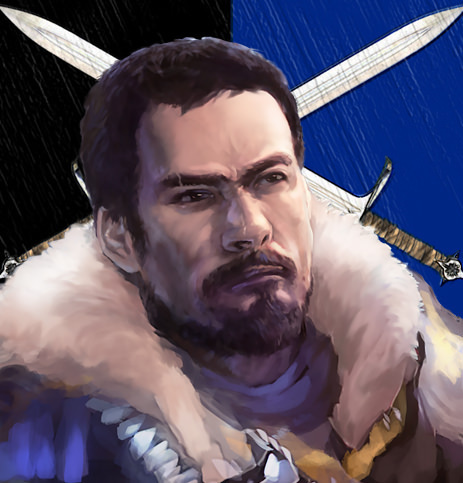 Having found an ally in Emperor Vaizer, he agreed to join him and become the Duke of Terenia. Together they started building the foundation for a great Empire, and a peace that would last for centuries. If you are interested in joining my noble effort, don't hesitate to get in touch with me! Just....Wow! If I didn't have titles of my own I would certainly join you! Again, a great post, as I already expected from you. Thanks a lot, Thoras! :) Most of us are working on individual settlements right now, yeah.. at least we'll reside in the same County, so we'll be interacting quite often. As expected another great post Gren, i love reading your history stories and can't wait for us to be able to forge our own story in game! I´d love to join, I haven´t pledged (yet) but I will. In real life I'm a 20 year old engineering student (final year). Wich also include a supervision aspect, I'm ambitious and I'd love to get a leading/governing role some day either in the army or as baron myself. So I'd love to join your barony. Also, an update: You can now find us in the Demalion Empire, Duchy of Terenia. Thanks man! Yeah, there's five of us now for the settlement and we've got some great plans with it - both in terms of building out our perfect stronghold with surrounding villages and farmsteads, as well as from a story perspective :) Humble beginnings I'd say, but we'll have a good time for sure. Long live Terenia! I feel like a bump here is warranted at this point, to let people know this concept is still on going and we welcome you to join us on the Selene server :) So don't hesitate to get in touch with us via PM or discord, and we'll be happy to discuss ideas with you.